10 ways to love your leaves — and not just in the car! Go hiking. 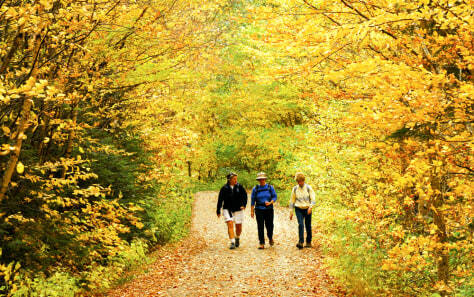 Tim Smith, a veteran guide with global hiking outfit Country Walkers, suggests that the four-mile (three hours) Daniel’s Pond Loop is northern Vermont’s equivalent of John Denver's Country Roads.